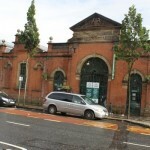 St Georges Market is one of the oldest attractions in Belfast. It was built in the very late 19th century, and the locals claim it to be one of the best markets in the UK and Ireland. The market is open three days a week and on Friday you can visit the traditional “Variety Market”. At this market you can buy fruit and vegetables, meat and fish, antiques, books and clothes. On Saturdays the “City Food and Craft Market” can be enjoyed, while on Sundays the so called Sunday Market can be seen, which has a special emphasis on local arts and crafts. From time to time the venue is used for exhibitions, special markets and also for concerts. Among the famous artists who have been here you can find Duffy, Newton Faulkner, Deep Purple, Biffy Clyro and Mark Ronson.